Andrew: Part two, in continuation of part one. A couple of important details. One, many in-wall speakers that you'll see on the marketplace actually are sunk into the wall so that the drive units sit below where the drywall surface or the wallboard surface would be. That's actually a very bad thing acoustically, because the wall edges that stick out past the drivers cause reflections and what's called diffractions around the drive unit. So instead of getting a nice even spread and a spacious sound, you can get a very localized and closed-in sound, which sounds very unnatural. The other thing that sounds distinctive in our in-wall products is that many baffle materials that you'll find on the market are actually plastic. 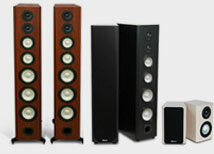 We use MDF, which is the same material that we use in our bookshelf and floorstanding loudspeakers. 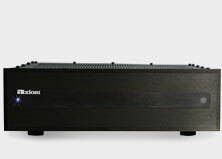 The reason we want to use something like MDF is that the baffle, which is the part of the speaker that the drive unites (the woofer and tweeter) are mounted to, are subject to the most vibration. You want a material that can dissipate that vibration. MDF is excellent at that. 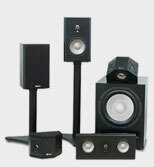 So there are a couple of more reasons that the Axiom in-wall products result in excellent high-quality sound. 1Amie Asks: Hey Andrew, what exactly is diffraction? Andrew Replies: Hmm, how to describe it to you. . . Diffraction: if you ever drop a pebble in a still pond you'll see the ripples go out in a circular pattern. If that ripple pattern comes into contact with something - a dock or a duck or whatnot - in some cases the ripple pattern will actually bend around it, and in others it will start more ripples moving in different directions. The same thing happens with soundwaves. Whenever they encounter any sort of an edge, then they tend to reflect in different directions, at random. It's somewhat dependent on what the frequency of the waves, but it's a random set of reflections that happen when soundwaves encounter an edge or a boundary. 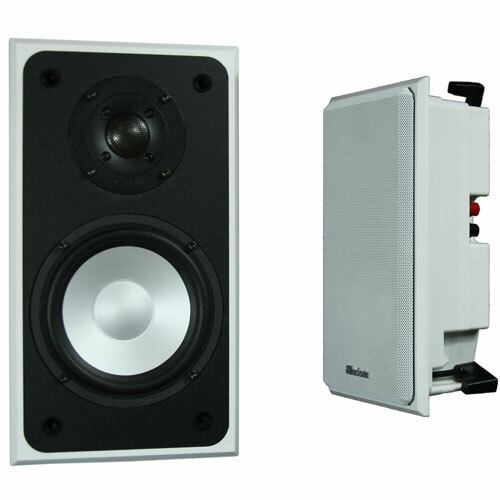 Now in the case of in-wall speakers and the inset variety on the market, there are two things that happen - you get unknown addition and cancellation in the sound that's coming from the speakers, which makes the speakers less linear; but you also get a reduction in the amount of dispersion or spread of the sound, making it easier to pinpoint the location of the speaker. 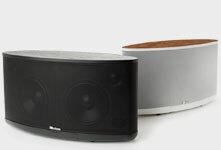 This is obviously not something you're looking for in a speaker.